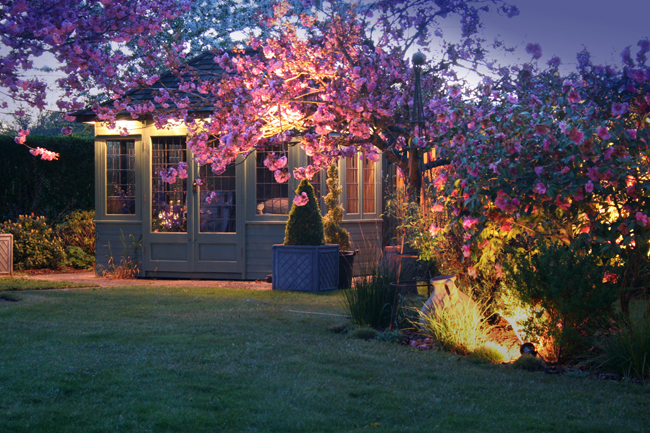 If you think about your garden as an extra room it will change the way you use it. 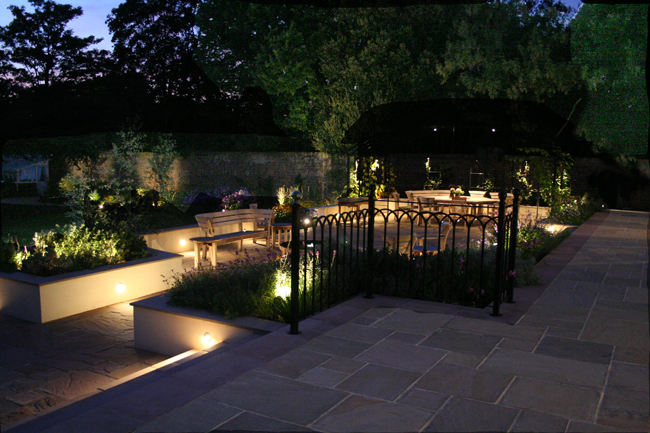 Most people, especially those in the UK, only really spend time in the garden when the weather lends itself to al fresco living but a well designed lighting scheme can transform your garden, making it feel part of your living space whether you’re out in it or not. At this time of year it stays light until about 8.30pm, but it’s sometimes nice to sit out after dark if it’s warm enough. 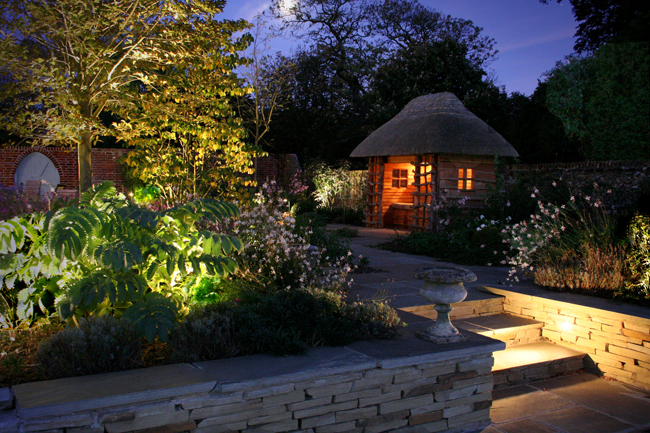 In winter, it’s far too cold to sit out there but a well designed lighting scheme will warm up the show and make the garden feel part of your living space even when you’re happy to be tucked up inside. Last week I met a lighting designer, Mike Shackleton, at my project in Wandsworth to talk about possibilities for lighting the front garden in both an aesthetic and functional way. It’s a small space, but my clients want to highlight the feature tree that will be planted as well as introducing a more functional light on the front of the house. 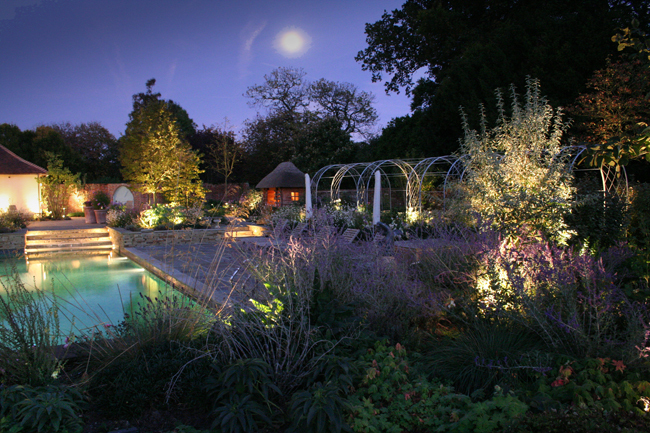 Like the layout of the garden, it’s important to ensure that a lighting design feels balanced and right for the space. 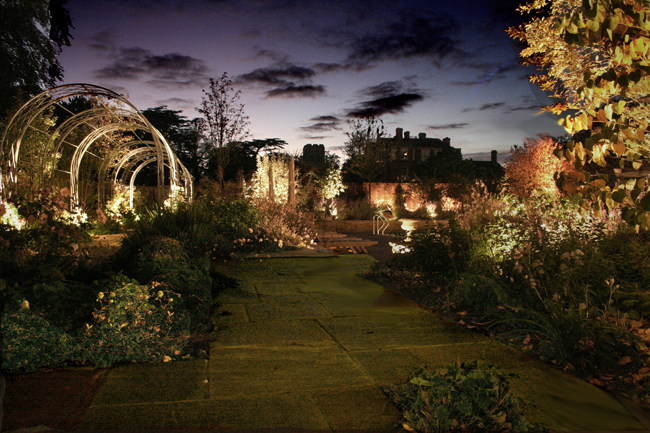 Michael Shackleton is Senior Lighting Designer for Ornamental Garden Lighting which he formed following a 35-year career in film production and as a direct result of the owners of featured locations asking to have the same dramatic cinematic lighting effects for their homes and gardens to enjoy all year round. 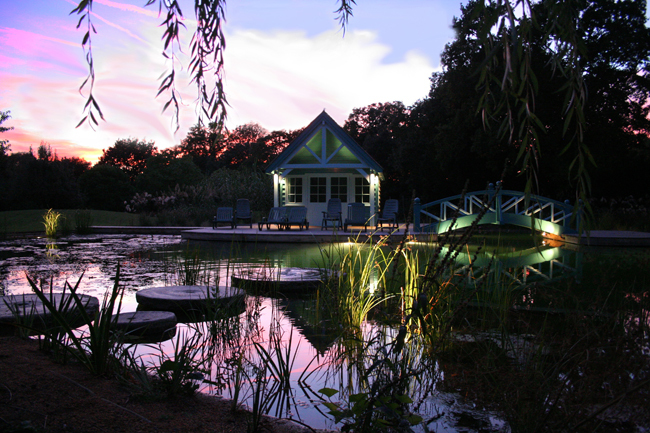 Over the years, Mike has worked on a wide variety of projects, from small city town houses to large commercial projects. 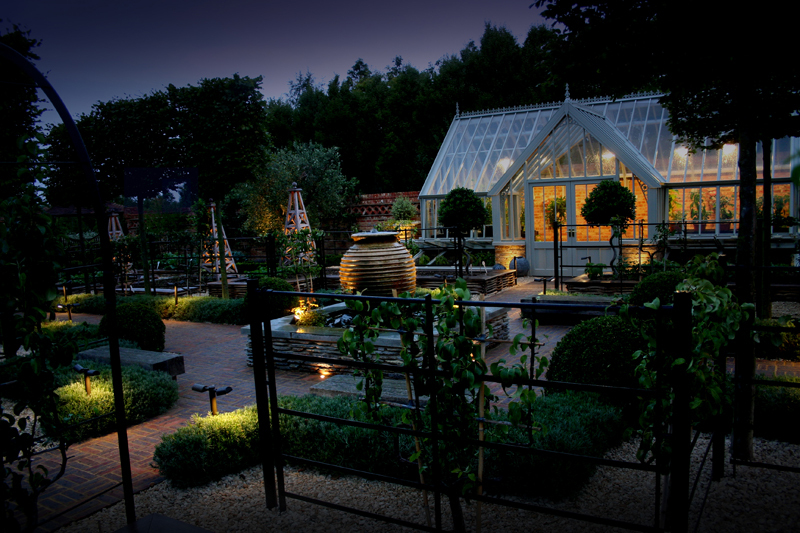 They specialise in outdoor lighting and are experts in bringing the garden to life after dark. 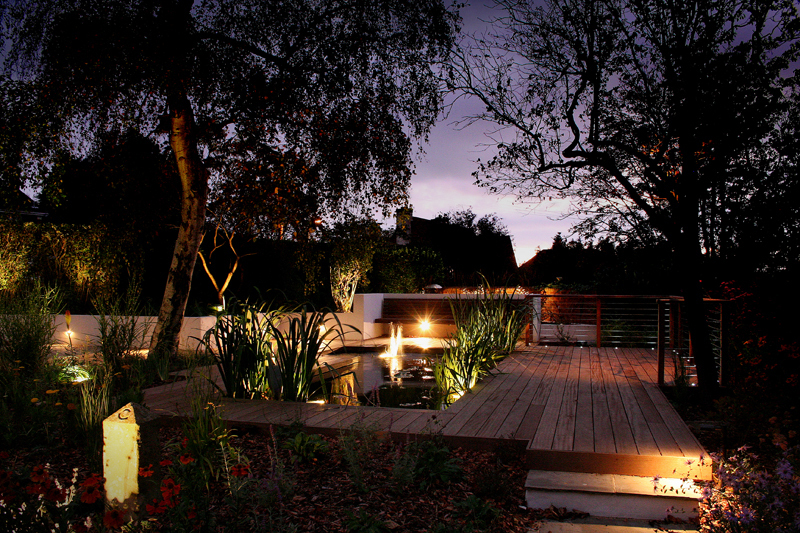 This could be highlighting a dramatic view from the house or installing soft lighting to enable you to sit outside when the sun’s gone down. I think the pictures speak for themselves don’t you? A well designed garden is the perfect place to start (of course! 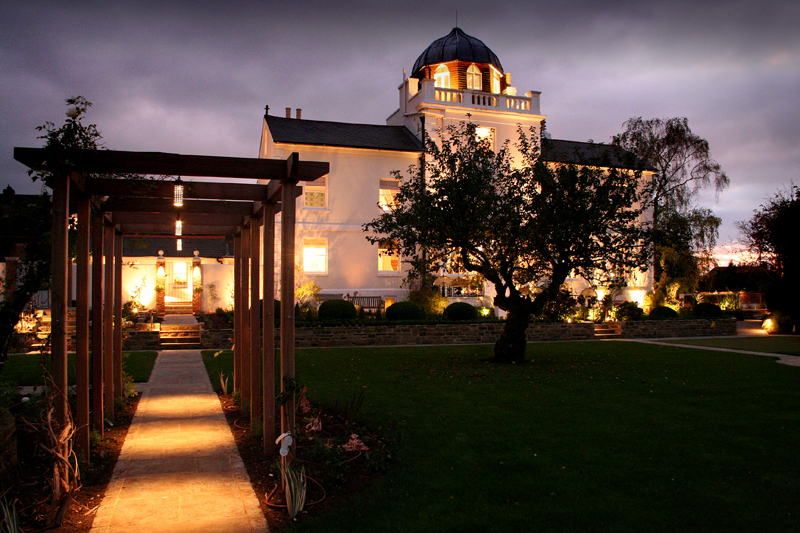 ), but a good lighting scheme has the ability to take it to another level.